Spring in the air or is that the smell of coffee? 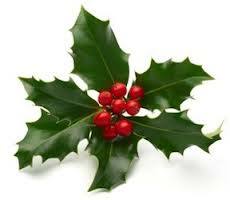 With Christmas a far and distant memory (thanking my lucky stars!) we rumble onto Spring, half term has already rattled by and Spring is on the horizon, hopefully we’ll soon be seeing snowdrops, and croci and then the beautiful bluebell (my favourite!) making an appearance soon! So, the latter part of last year saw Aston Clinton Coffee Shop open its doors, and what lovely doors! Just like stepping into a friends living room, the decor, the comfy chairs and side tables, display of old books, was a lovely first impression. I had been meaning to visit for months but with the busy bluebell lifestyle I lead, whenever I was passing I always had my dogs with me, however, dogs are gladly welcomed at Aston Clinton Coffee Shop but mine would surely be banned. You see one of my dogs doesn’t sit obediently on the floor next to me, he likes to get up close and personal and try to sit on my lap, table, chair wherever he can get the most attention. (he was a rescue, has issues you know) So when I found myself dog free, I arranged to meet an old friend there and promptly hot footed it up to sample the atmosphere and highly recommended array of cakes. I was a little miffed when I first walked in. I had found some earphones that somebody had clearly dropped on exiting the cafe, so I picked them up and took them to the counter. I wasn’t greeted, acknowledged, or smiled at, despite the young girl behind the counter on her phone (!) and despite me saying “Excuse me”, she continued checking it! Anyhow, I asked her if I could order something and she finally came over. I explained how I had found the earphones, again no acknowledgement, she just took them from me and I ordered my coffee and was told it would be brought over to me. Rather astonished I wondered over to the seating area. I choose a seat in the window and waited for my friend to arrive. A different waitress delivered my coffee, she was far more friendly and welcoming. The coffee, ohhhh yummy, I have to say it was delicious and my memories of the preoccupied barista were fast fading. My friend arrived, followed by cakes followed by more coffee and then a third cup and the service we received was wonderful. I can only assume that the first girl I encountered was Saturday staff, and didn’t uphold the recommended friendly and welcoming reputation that this lovely village coffee shop had cultivated in a relatively short space of time. I hope it was a blip. I also hope they bring back their homemade, to order sandwiches, I heard great things about them, but unfortunately due to there not being enough demand they had to change their menus. An idea!! If we got all the local businesses in Aston Clinton to get their lunch from here, or maybe for Aston Clinton Coffee Shop to offer a delivery lunch service, maybe have an arrangement with the local schools – instead of Pizza Day or hotdog day with cheap as chips ingredients, they could have a freshly homemade sandwich day or something, anything to keep the business at the hot new addition to Aston booming! I shall be returning and recommending wherever I go, its marvelous to see independently run coffee shops, instead of another chain popping up, specially with home made and locally sourced produce. They also offer their premises to local clubs or meetings – another fab opportunity, what better way to meet the local knitters over a cuppa in lovely surroundings? From free entry Santas Grottos to exorbitant ones, the Bucks Bluebell has done a whirl wind whistle stop comparison of some of the best and worst. The festive season is never complete without a visit to the big man himself in all his finery (I think I love it more than my children!). The twinkly lights, the smell of nordman firs filling the air, the gingerbread men and mince pie making, not to mentioned the copious amounts of mulled wine. Yay! I want to climb aboard the the Polar Express and go find the real Santa, I’ve been looking for him for years. Now we all know that the real Santa couldn’t possibly have time to station himself at each grotto across Buckinghamshire, let alone the world, he just has far too much to do at this time of year. SO, he sends out his carefully selected helpers to go do the job and makes little squidgems happy and a little bit more excited for his actual arrival, so as said above The Bucks Bluebell has put together a list of the best and (not so best) ones around and the firm favourites are obvious. Have a read and enjoy your visit to whichever one you decide to go to. Santas grotto in Friars square is asking for a donation of £3 in aid of Scannappeal, supporting special care babies at Stoke Mandeville Hospital – lovely idea rather than being a purely commercial venture. Good job and well done FS!! This one definitely gets my vote, its very well put together, organised and not always ridiculously busy like some other local ones and the gift is surprisingly good. Also with the entry fee being a donation, rather than for profit, I think it encapsulates the spirit of Christmas rather splendidly. The Bucks Bluebell will definitely be visiting this grotto for the most anticipated Santa pre-drop in of the year. Sadly disappointing. Not only has the once stupendous winter wonderland been scaled down considerably, now the staff aren’t that careful about letting customers see the multi santa tents, and the price has gone up to £8 per child, £2 for supervising adults and £2 per person for just walking around the display. Outrageous and a typical shocking example of fleecing the general public at a time of giving. Also apart from one or two staff, the rest are miserable and rude (my experience of last year’s elf taking my money was appalling). Since the expansion of WEGC, apart from the already overpriced goods (you can get the same thing MUCH cheaper elsewhere) you would think that with the profits they make, they could give back a little and repay their customers with a little Christmas cheer, we aren’t evening asking for a freebie, just a reasonable price with perhaps a donation to a good local cause as an added bonus. That said, the winter wonderland (although smaller than usual) is lovely, the gift fairly substantial (it would be for an £8 entry fee!) and the atmosphere is magical if you squint a bit with one eye open. So if you have bags of cash to spend this Christmas, get yourselves down there, you’re children wont be disappointed, your purse on the other hand …………………..
Visit Santa in his magical grotto in The Land of Believe. This is a real experience, there are craft stalls, kiddies can make wrapping paper, reindeer food and then take a mystical ride on the express train. Enjoy walking around the Christmas Market, many stalls with seasonal gifts, food, many stocking fillers, its worth a visit to MK just to see it. 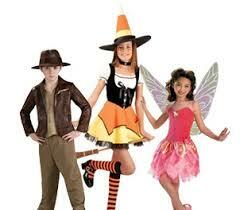 Its almost reasonably priced at £6.50 per child (parents free!) 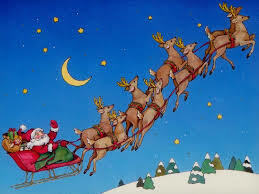 to visit Santa, which includes a gift, to take a train ride both parents and children will need to purchase a ticket at £2 per person. There is also a beautiful carousel and lots of Santas elves around. It really is a lovely atmosphere here but still quite pricey. It is advisable to book tickets and arrive 10 minutes before your allotted time. Another really lovely Grotto is Westfield Shopping Centre in London, the shopping centre is well worth a visit at Christmas, not only for its fab array of shops but its stunning decorations! Very twinkly and magical and their Grotto is fabulous, again a bit pricey at £6 for a single ticket or £20 for a family ticket (can be 1 adult 3 kids or 2 adults, 2 kids) but the kids get a reasonable gift at the end of it and the whole experience is lovely and definitely gets you into the Christmas Spirit. Open from 20th November 11am till 6pm, closing later on Saturdays @8pm. 24th-30th November 11am-8pm (sundays close earlier at 6pm), then 1st-7th December 11am-8pm weekdays, 9am-8pm Saturday, 10am-6pm Sunday, 8th-14th December – Monday to Wednesday 11am-8pm, Thursday & Friday 11am-9pm, Saturday 9am-8pm, Sunday 10am-6pm, 15th -21st December, Monday-Wednesday 10am-8pm, Thursday & Friday 10am-9pm, Saturday 9am-8pm and Sunday 10am-6pm, 22nd & 23rd December 9am-8pm, Christmas Eve 9am-6pm. The Buckinghamshire Bluebell wish you a very Merry Christmas and a Happy and Prosperous 2015! 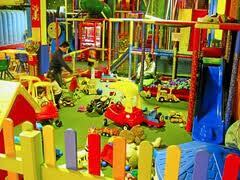 The Best Kids Adventure Playgrounds Ever! Having two little darlings now, thank goodness, out of the realms of softplay adventure playgrounds, i feel over qualified to provide a list of fantabulous play parks to visit, to run them ragged and keep them amused, so they will give you an evening of peace, tucked up in their cosy little beds fast asleep. Also with the cold and wet days looming, its a great option for bad weather days out. 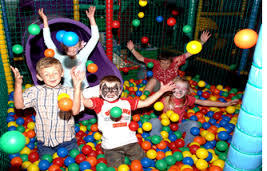 My ultimate favourite is Kidzone, in Berkhamsted, http://www.thekidzone.co.uk, (okay so not really Buckinghamshire but not far and I know many people travel here for some fabulous fun and games from many areas of Buckinghamshire) . The way it is laid out is great, the newly refurbished baby area nestles nicely next to the coffee shop and then you can see the majority of the bigger frame from there, so you can enjoy your well deserved cappuccino whilst keeping an eye on the little ones. The limit on age is 12 yrs, and anyone over 4 aren’t allowed in the baby bit, but I would advise you stay in that particular area as some over 4’s, (usually the unsupervised rowdy 8-9yr olds) on occasion appear to run through the babie area, unabashed and explosive before one of the very efficient stewards come and hoiks them out and gives them the appropriate dressing down, they then skulk off back to their ridiculously large playframe, which one wonders why they left to come into the baby bit in the first place! However, this has only happened once to me in my 15 years of soft play intimacy and Kidzone was a godsend for many years. For practical purposes there are lockers for your valuables if you are going to join your kids on the play frames and great party rooms downstairs and upstairs and for security a safety entry door. They have horrifying drop slides, bouncy castles, loadsa frames, puzzles, mazes in the large frame. You can have your child’s parties there and even hire it out exclusively, for a surprisingly reasonable charge, for instance minimum numbers are 60 kids, (you don’t have to have 60 kids, God forbid!, but you have to pay for 60) the charge is from £7 per kid, so for around £360 you get the entire frame and diner to yourselves, there are further charges for food obviously but in this day and age not a bad price for a party of that size. 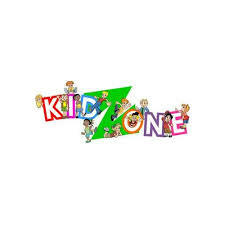 The Kidzone in Berkhamsted also has many offers available – see their offers page http://www.thekidzone.co.uk/offers.html, A definite one to visit. 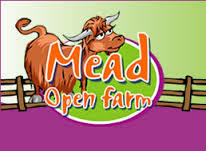 My next favourite has to be Mead Open Farm http://www.meadopenfarm.co.uk/ Shaggys Playworld is G. R. E. A. T. , the cafe seating area is situated in front of the play equipment so you can pretty much see the kids at every step, the food in the cafe is a little limited but it is a perfect place. Obviously Mead Open Farm offers so much more as well. When we first started coming here, it was just a farm, with a tin barn with a few very tired slides in it, now it offers drops slides, a multi lane astra slide, shiver chicanes, scramble nets in the playbarn, outside you can see of the fluffy cute animals, before whizzing around the go kart track, climbing Giants Rock, a high ropes bonanza, sandy digger village, mini golf, outdoor topsy turvey, play area, maize mazes and tractor & trailer rides, I feel exhausted just having mentally visited. They also have an annual spooktacular Halloween event (which is unbelievable) and a forthcoming Christmas event which promises to deliver the same standard of fun but not so scary! Entry Tickets a bit pricey one might think at first at £10.75 per adult and £9.75 per child, (and yes adults have to pay too) but they do offer a discount if you book online and their annual membership works out really well. 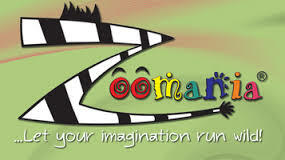 My third favourite is Aylesbury’s very own Zoomania, http://www.zoomania.co.uk a playground that started off reasonable (ish) in terms of facilities, but has developed into something great, close by and its consistent improvements over the years definitely earns its place in my top three. Multi level play frames, Astra slides, frames, dedicated baby area, basketball, and football nets and much more. The cafe is great, lots of choice and good quality food, not just your usual junk food, although this is great too! Great value at £6.50. Staff are really friendly, however the weekend staff can be a bit unhelpful sometimes but that may be due to their busy periods. They have dedicated party rooms and if you are lucky Milo or Hula might put in an appearance. The cleaning of cafe tables etc is very good and their toilet facilities great. My only criticism is that there isn’t enough supervision of children, now that may be down to the parents, but do feel that it wouldn’t go amiss for one or two stewards to keep a check on the odd boisterous, reeeealy annoying child making others play experiences a little oppressive. 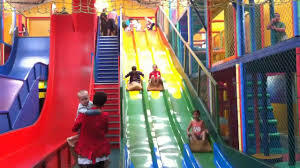 There are many other indoor play areas within and surrounding Buckinghamshire, some are listed below, but if you would like a more in depth look at one or are a business and want us to feature your business then feel free to contact us. Check out whats on this Halloween! Find out whats on in your local area or feel free to drop us a line asking us to collate info on your particular area and we will list as much info as we can find for you. Meet The Bubble Wizard and be amazed by his bubbletastic antics, stay for the first ever Panto-ween, take part in the Halloween themed crafts sessions, face painting and compete for a prize in the best dressed ghoul in Aylesbury, which will be judged at 5.45pm prizes for mums & dads too!) Visit http://www.aylesburytowncouncil.gov.uk/ for more info. Don’t miss Freaky Fortnight!! 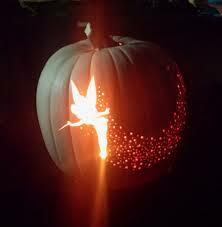 This is a fabulous spooky treat, for all ages 18th October to 31st October. The Dark – is wonderfully creepy and has a Boo rating of 5 (the experience contains live actors), Haunted Castle will have you shaking in your boots or for a less ghoulish activity try the Trick or Treat Tractor Ride, Spiders Den or Creepy Tots Corner. 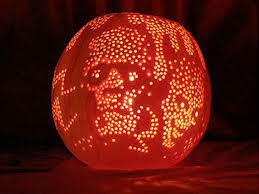 Fabulous spooky tales from a real pirate aboard the ghostly galleon. Top Tip – Buy online to save money! MUST BE BOOKED ON TO EVENT as limited places – Ring the forestry commission to confirm your place 0300 067 4160. We visited the woods at the weekend, to take a look and the cafe looks fantastic, tonnes of pumpkins around, on every table, wonderfully halloween themed decorations everywhere, in beautiful surroundings, we are very lucky to have this so close to us. 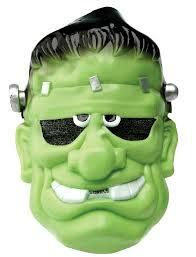 The cafe has entered into the Halloween spirit entirely as they always d. Not one to be missed! 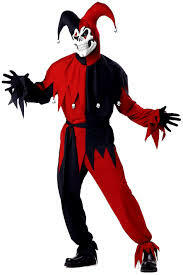 For something a bit spectacular get yourself down to Genies (Bucks Goat Centre, Stoke Mandeville) , fab array of costumes and accessories for any party but BB’s recommend their Halloween gear, especially if you want something a bit different from the usual stuff around, http://www.genies.co.uk. Wilkos have some amazingly fabulous value costumes and loadsa party decs, games, ideas etc for the perfect Halloween party, http://www.wilkos.com Poundland have some fangtastic masks and currently doing Halloween costumes for £4 when you spend £6 in store! http://www.poundland.co.uk Claires Accessories are also doing some excellent costumes this year, with the dead bride featuring quite a lot, bit pricer than some stores but look great. 1) Combine gelatine in bowl and add boiling water. 2) Let it cool to lukewarm and then add the whipping cream and 15 drops green food colouring. 3) Gather your straws (don’t forget t to pull them out so the lines come out) and put them in the container. It’s important that the straws have a tight fit so the jelly stays in the straws. For this reason, a 1 litre carton may be better; you will probably get longer worms since there is a tighter fit. If you have a bigger container, a rubber band around the straws is helpful. Or you could just add more straws to fill the container. 4) Add the gelatine mixture to the straw-filled container and let it set until firm. And voila! 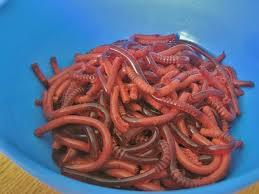 Jelly worms are served – now crumble up some brownie and sprinkle the worms around. 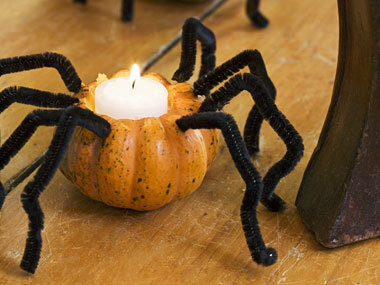 These are always great and so effective for Halloween, here are some pictures. If you have access to a hot knife (an elec one not a normal knife, which is what I thought when first looked into it, lol) it will make your creative designs much easier. BB will definitely be doing the Tinkerbell one – love it!! 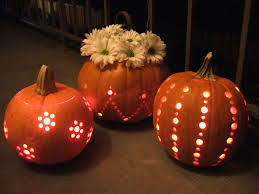 Print off a template – loadsa great ones found here http://www.pumpkinpile.com, draw the outline of your chosen template on the pumpkin first and then cut it out very carefully, BB used a small drill bit to do the holes and a scalpel to do the main stencil for the Tinkerbell one! Here are a few others we found. Have an enjoyably spooktastic Happy Halloweeeeeeeeeeeeeeeeen – make sure you send us your photos, comments of what you got up to. Stay safe and have fun.